at our Agard street clinic, We Have professional state registered chiropractors that are skilled in diagnosing customer pain in the spine, joints and muscles. 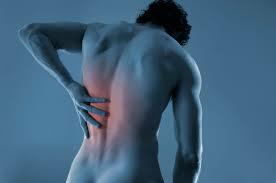 We help our customers with neck and back pain, working the problem until you are satisfied. Using traditional techniques our customers feel the benefits not just after the session but for years to come. When you attend your first visit, We will explain the science behind how chiropractic care works, and give you a full evaluation to see if chiropractic care is right for you. WE Are also Recognised by all the leading healthcare insurers/ providers. With years of experience your guaranteed to be in safe hands. We treat treat the whole body. from headaches to foot pain, Sciatica, Disc injuries, low back pain, neck pain, Hip Pain, Sports Injuries, Shoulder Problems, Knee Pain, Migraines, Arthritis, Dance Injuries, Whiplash. Book in today for your first assessment.